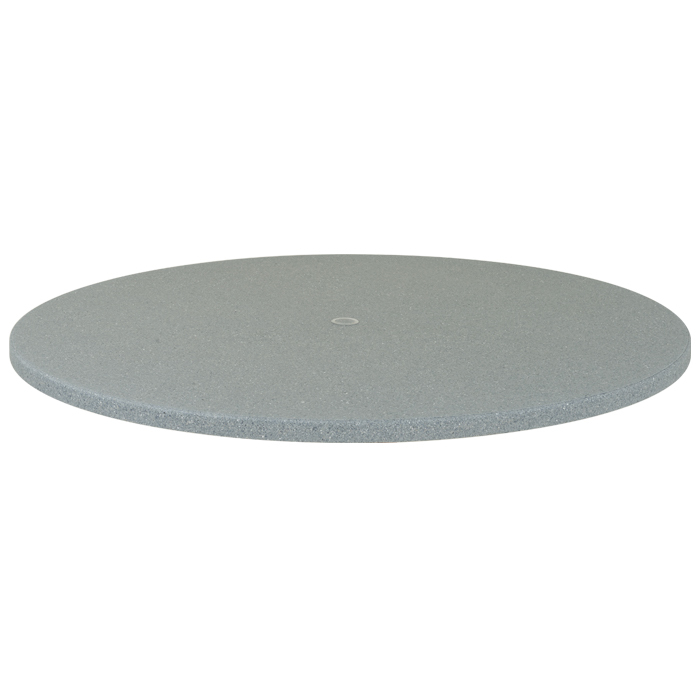 The Stoneworks® 60" Round Matrix Table Top with Umbrella Hole is made of glass fiber reinforced polymer (GRP) with different materials mixed in to create a speckled appearance. Speckles within the tops play with light, adding visual interest. This dining table top is commercial-grade quality, designed to resist fading and cracking, and treated with a non-glossy finish for a matte appearance. The 60" Round Matrix Table Top with Umbrella Hole provides multiple color options to serve a variety of settings.